Are you an immersive storyteller working in virtual or augmented reality? Want to find supporters for work that uses technology to create fresh perspectives on the world as we know it? Then you should enter AIDC 2019’s Meet Your Maker: XR Marketplace. AIDC’s Meet Your Maker: XR Marketplace is Australia’s favourite pitching event specifically for non-fiction work in all forms of computer-altered reality (XR), including Augmented Reality (AR), Mixed Reality (MR), and Virtual Reality (VR). 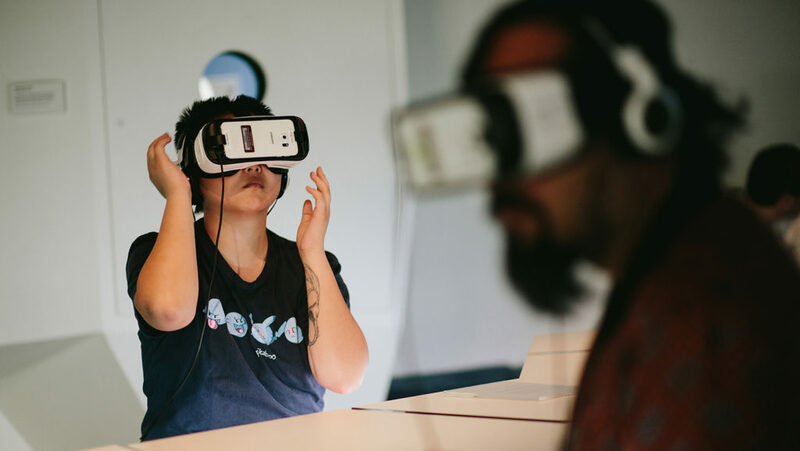 Now in its third year, Meet Your Maker is designed to assist non-fiction creators in the XR sector to find new pathways to financing and exhibition opportunities. With a proven track record in facilitating meaningful connections with funders, festivals, exhibitors and buyers, it’s an event that no XR creator with a non-fiction project can afford to miss. Some previous highlights of Meet Your Maker include the experience of natural history filmmaker Briege Whitehead, who took part in 2017 and made a significant connection for The Antarctica Experience, the first virtual reality documentary about the Antarctic region. “We loved the exchange at AIDC and highly recommend it. The director we have on board for the project [Phil Harper – David Attenborough’s Great Barrier Reef VR Dive] came about through Meet Your Maker, who is the only person to have won a BAFTA for VR,” she said. Dominic Allen, director of the acclaimed multi-platform celebration of indigenous song and dance, Carriberrie, also found the marketplace instrumental in bringing the project to life. “Meet Your Maker was an excellent launch-pad for us and we’ve gone on to secure cash finance as well as forge a number of production and sales and distribution partners,” he said. Applications for AIDC 2019’s Meet Your Maker: XR Marketplace are open now, and close Sunday 21 January, 2019 at 11:59pm. To apply, head to the Meet Your Maker: XR Marketplace page.